While the exact words are not universally known, its parts most certainly are. From it, citizens are guaranteed freedom of speech, freedom of religion, freedom of the press and the right to protection from an over zealous government through the courts, public hearings, and demonstrations. It is these freedoms known around the world. It is these freedoms that make the United States different from all other countries. That is not to say our freedom is unlimited. For instance, a religious belief that calls for human sacrifice simply is not tolerated. Nor is speech that proves harmful, as in someone shouting “fire” in a crowded theater, unless, of course, there really is a fire. The fact is the penalties for stepping beyond our limits of freedom are severe. In the case of human sacrifice, we would charge a person with murder. In the case of shouting “fire,” the charge would be something like reckless endangerment. Another way to think about this is we do not have laws telling us what is legal for a citizen to do; we have laws telling us what is illegal. The Constitution, and its amendments, specifically limits the power of government regarding the particular rights addressed. It does not limit citizens to only those rights. Just what is a citizen anyway? The Constitution, in its original form, did not address the issue specifically. It does speak to the mechanics of counting people for determining representation, but not to the requirements to become a citizen in the first place. Granting citizenship through immigration simply was not a priority as the nation was taking its first steps. Becoming naturalized is a long and involved process. There are exceptions, for instance individuals that join the military have a fast track to citizenship. 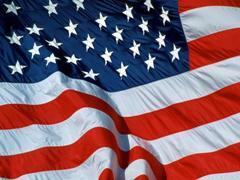 A person must either be born in the United States or go through a process to gain citizenship. We have citizens by birth and by naturalization, but there is a third type of citizen, a corporate citizen. As strange as it sounds, corporations in the United States enjoy many of the same rights as citizens of flesh and blood. For example, if a corporation wrongs you, you sue it and not the stockholders. The corporation, in this case, has the same legal standing as an individual. When you think about it, it makes sense – just because a person owns a single share of IBM stock is no reason to drag them into court over an issue regarding the corporation. Corporations may be citizens but they are limited ones. If a citizen-person breaks the law, they go to prison. There is no corporate body to send to jail. The normal course of action is to levy a monetary fine. This sort of issue highlights the problem of rights regarding corporations. How rights apply to corporations and the constitutional implications affect all citizens daily. A quick search of the Constitution shows the words corporation and business do not appear. Given that, what makes a corporation a citizen? Ironically, it is the same amendment that defines citizenship by birthright, the fourteenth amendment. In 1886, the Supreme Court ruled on the case of Santa Clara County v. Southern Pacific Railroad Company. The case dealt with a taxation issue. California changed their state constitution to prevent railroad companies from deducting outstanding mortgage amounts from property values for tax purposes, something individuals were allowed. The court sided with the railroads on the tax issue. Part of the claim by Southern Pacific was the fourteenth amendment guaranteed them equal protection. Technically, the court did not issue an opinion on the merits of that argument but found the state was wrong to apply such a tax. Regardless, from that date on, corporations have claimed corporate “personhood,” and some of the rights of citizenship protected by the Constitution. If ever you needed proof that the road to hell is paved with good intentions, this perversion of the fourteenth amendment provides it. An amendment meant to protect the most vulnerable and disenfranchised citizens is used to protect the interests of powerful corporations. That decision, 124 years ago, still affects every citizen today. Its reach goes beyond the mundane issues of corporate taxation and interferes with the rights of real citizens, the ones with a heartbeat. Corporations use this decision to remain beyond the reach of state governments regarding business regulations on many levels. More directly, corporations claim a right to the first amendment protection of free speech. Most recently, in the case Citizens United v. Federal Election Commission the court found that corporations (both for profit and non-profit) and unions cannot be limited in political speech as specified in The Bipartisan Campaign Reform Act of 2002, also know as The McCain-Feingold Act. The result being by granting corporations the same right of free speech as individual citizens, they can spend virtually unlimited amounts of money to promote a particular point of view to the benefit of a particular candidate. In effect, by granting corporations unfettered free speech rights, based on corporate personhood, individual citizens or candidates that do not hold a popular corporate or union view will receive no such support, effectively killing their right to equal access to the public. Election costs are already out of control, this decision will drive them unbelievably higher still. One solution is to treat corporations as individuals. Simply throw away the corporate tax code and tax them as individuals with the same limited deductions real citizens face each tax season. No longer allowed to write off expenses such as investment property or office space leases, billions of dollars would flow into the federal and state coffers. Money used to pay for election related materials would remain taxable income. People are not allowed to claim a non-profit status, remove it from corporations too, and tax them accordingly. If corporations wish to be treated as people, they need to be taxed as people too. Maybe then, they would have other matters to attend to than interfering with elections. Of course, that idea is outrageous, but it further illustrates the problem with classifying corporations as citizens. If they wish the rights of citizenship, they must carry the burdens of citizenship. At the very least, limited corporate citizens should not enjoy rights real citizens do not have. The right to raise and spend an unlimited amount of money to influence elections and policy matters undermines the very fabric of democracy. It prevents real citizens from full and fair participation in elections and violates the first and fourteenth amendments by institutionalizing a “who can yell the loudest” mentality, thereby drowning out individual voices of dissension. Only people born on the soil of the United States have a constitutional right to citizenship. All other forms of citizenship are granted through legislation. That legislation requires years of time and study for individuals to become citizens. Corporations simply have to file some paperwork and pay a fee. One has to wonder if a person here illegally gains the limited rights of citizenship by simply purchasing stock. At the very least this Supreme Court decision granting unfettered first amendment rights to corporations gives foreign investors the means to legally influence U.S. federal elections. They simply form a corporation, collect huge amounts of overseas money, pay the tax on it, and spend it. In the end, by granting rights to corporations, rights of individuals are restricted. Only extremely wealthy citizens like Warren Buffett and Bill Gates have the ability to compete with our corporate citizens’ spending. From now on, free speech is only for corporations and the super rich. It’s been sold out from under the average citizen. Do not act surprised when you wake up one morning to find the Constitution has changed to read “We the Corporations,” and it is the people with limited citizenship. “The Constitution of the United States,” Preamble. Ibid, Article 1, Section 2, Clause 3. Ibid, Amendment XIV, Clause 1. “SANTA CLARA COUNTY V. SOUTHERN PACIFIC R. CO., 118 U. S. 394 :: Volume 118 :: 1886 :: Full Text.” US Supreme Court Cases from Justia & Oyez. Web. 02 July 2010. <http://supreme.justia.com/us/118/394/case.html>. H.R. 2356, 107 Cong., Congressional Record (2002) (enacted). Print. The recent action by the state of Arizona has returned the issue of people coming to America illegally to the international spotlight. President Calderón of Mexico is critical of the law in a very public way, even calling it a “violation of human rights[i].” Without delving in to the particular motivation of Arizona, it is clear that inaction by the federal government is leading us to a patchwork of laws regarding a subject that needs a national consensus. For purely political motives, the federal government refuses to effectively deal with the issue resulting in harm to the citizens of the United States as well as people here illegally. The problem for both the congress and the administration is perception. On the one hand, too tough a law is seen as racist; on the other, too little intervention is seen as not protecting the national border. In reality, it seems the public is truly concerned about one border, the one between the U.S. and Mexico. The northern border with Canada hardly receives national media attention, though it is almost three times as long. The U.S. – Canada border is 5,526 miles in length while the U.S. Mexico border measures 1,952 miles. [ii] That illustrates it is not the border itself that creates a problem but its being crossed illegally. Protect the boarders to prevent illegal entry. Remove the reason people enter illegally. Returning to the political reality politicians face, to address the first approach requires building a national barricade and patrolling the border, much like the East Germans attempted with the Berlin Wall during the Cold War. The image of our borders dominated by Cold War style “Checkpoint Charlies[iii]” is not the image most politicians wish to give the world, though that is quickly becoming the norm. What is next, will Arizona have neighborhood checkpoints and ask everyone for their documents? In other words, welcome to the Police States of America. Addressing the second approach requires understanding why people enter the United States illegally. While there are many reasons, one dominates all others – work. Slanted media coverage focuses on issues that inflames fear and promotes stereotypical prejudiced beliefs while minimizing employment as the prime motive. In doing so, the politician has no political upside in addressing work as the true motive and faces many downsides. One of the biggest downsides being people working in the United States illegally provides a cheap labor force for employers. Taking that labor force away will drive wage costs up in employment areas like farming and food processing plants, which employ people here illegally on an industrial scale. Still, that is exactly what needs to be addressed and does not require the extreme measures of making “Fort America” out of our home. Regardless of the defensive systems we install, people will get past them. People enter the United States illegally from all parts of the planet and in all sorts of ways. 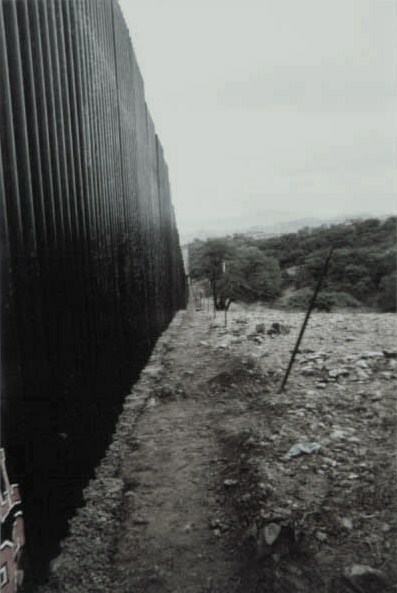 Looking at the border with Mexico only addresses the means of egress and not the motives behind the entry. Rather than pass a law that requires the police to engage in practices that are bound to create civil rights issues, a sensible course of action is to require all employers to verify employment status and penalize them when they do not in a way that removes the incentive for hiring people not here legally. We face many problems that are not easily solved. This is not one of them. The solution is simple and cost-effective. All it requires is political leadership and that is where it fails. Rather than accepting the reality of needing the labor force people here illegally provide and giving them a legal option, our political leaders simply kick the can down the road for our children to deal with. To put it bluntly, anyone with an entrenched position that refuses to compromise is part of the problem and prevents a solution. The law passed in Arizona seems to take a “just get rid of them” approach. Expanding that to a national level would mean the removal of a little fewer than twelve million people[v] from the United States. The cost and logistics of such a move is staggering. 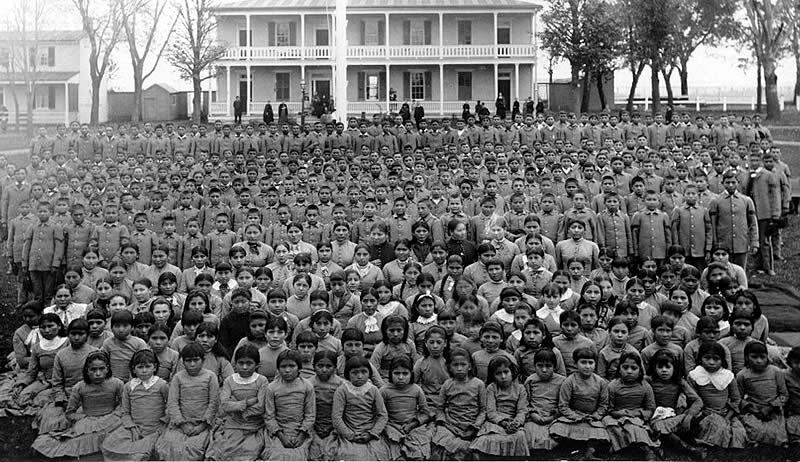 By the very nature of the individuals being undocumented, how would we prove them to be citizens of a particular country to return them to? It is not as if a country will allow us to dump them on their doorstep because we do not want them. A better solution is to punish the ones giving the incentive in the first place and then develop a system that allows people to work here legally. Why do we need to send them home first? It is more cost-effective to document them where they are and move on. It is often stated that it is unfair to people who followed the rules to allow the people here illegally to simply get in line for citizenship. It rewards illegal behavior. That is not true as there is no need to grant them citizenship at all. Instead, we grant them foreign worker status, collect taxes, and move on to the next problem. If they wish to become citizens, let them use the process in place now, if not they can simply work until they wish to return to their home countries. We can thank them for their hard work and they can thank us for the opportunity to earn some money to support their families back home. Accepting that Arizona’s only wishes to address valid issues surrounding people entering the country illegally, Washington’s inability to take action is the root problem that drives the issue. We need to remove the politics and just deal with the problem. Then Mexico can start dealing with its own problem of not providing for its citizens to the point they seek to enter the United States illegally, President Calderón – that is the true human rights violation you need to address. [i] Booth, William. “Mexican Officials Condemn Arizona’s Tough New Immigration Law.” Washingtonpost.com – Nation, World, Technology and Washington Area News and Headlines. Web. 07 May 2010. <http://www.washingtonpost.com/wp-dyn/content/article/2010/04/26/AR2010042603810.html&gt;. [ii] Length of United States Border with Mexico. Wolfram|Alpha. Wolfram Alpha LLC. Web. <http://www.wolframalpha.com/&gt;. [iii] 1950s, The Early. “Checkpoint Charlie.” Wikipedia, the Free Encyclopedia. Web. 07 May 2010. <http://en.wikipedia.org/wiki/Checkpoint_Charlie&gt;. [iv] Mellmann, Helga T.H. 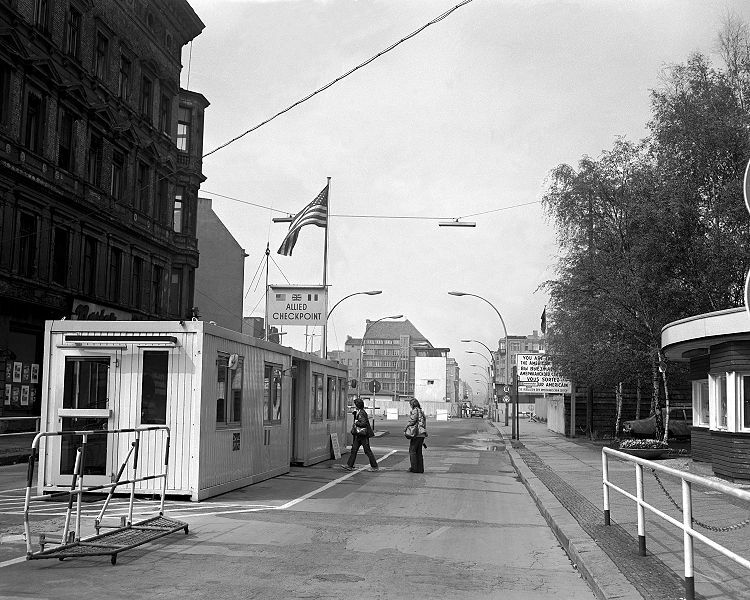 A View of Checkpoint Charlie, the Crossing Point for Foreigners Who Are Visiting East Berlin. 1977. Photograph. DefenseImagery. United States Department of Defense. Web. 7 May 2010. [v] United States of America. Department of Homeland Security. Office of Immigration Statistics. Estimates of the Unauthorized Immigrant Population Residing in the United States: January 2008. By Michael Hoefer, Nancy Rytina,, and Bryan C. Baker. Office of Immigration Statistics. Web. 7 May 2010. .